I love having clouds in my landscape photos, for me there is nothing worse than a bright clear sunny sky without a cloud in site! Clouds can make a photograph, or painting, so much more dramatic, and I love the way they play over the landscape. 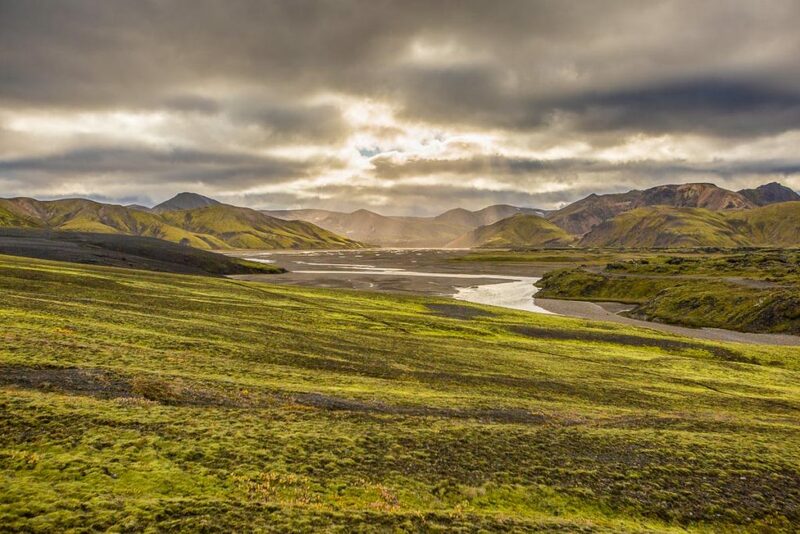 Iceland is especially good for this, with its ever-changing weather there are clouds constantly rolling across the hills, often forming for a very brief moment before dispersing and changing. This was one of these moments, while driving through the interior I saw this and just had time to take a couple of frames before the clouds at the end of the valley closed up and the sun disappeared again.